A friend recently mentioned offhand Gaya’s Gelato and my ears pricked up as I often take the Sayan ridge route to get to Ubud from Sanur. This takes you past the large Gaya Fusion, an art space with an attached restaurant and villas, but I hadn’t noticed any ice creamery … What was I missing?! Subtle and smooth, kind of like the ice cream. Really delicious gelato, it turns out. 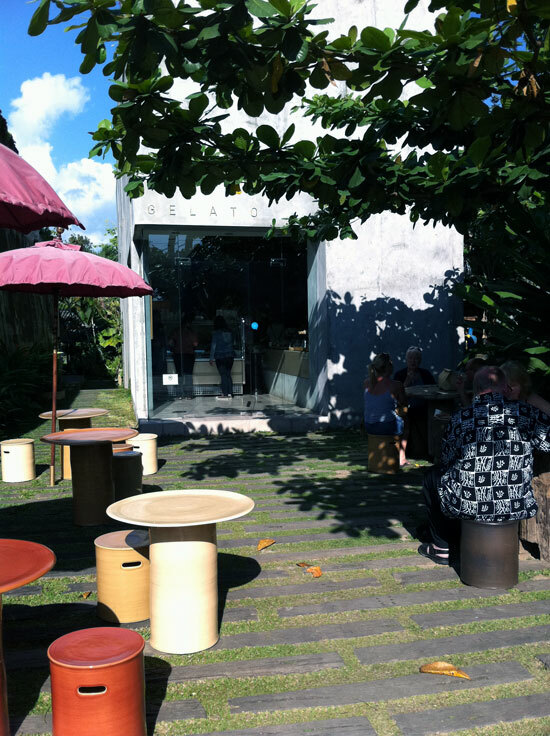 The next time I popped up to Ubud I stopped off. Sure enough, to the right of the gallery (which always has interesting exhibitions worthy of a peek) is a simple but sublime shop selling gelato — and biscuits. 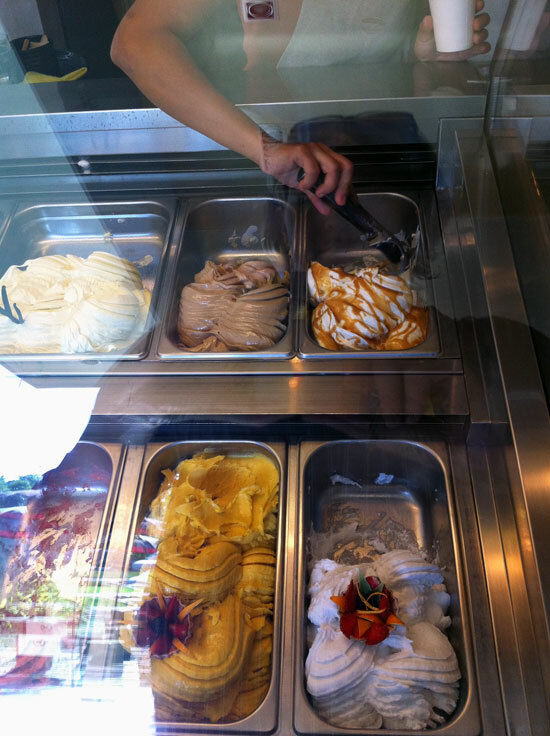 There’s only about a dozen gelato flavours to choose from, and we’re not talking complicated, either — creme caramel was probably the most unusual, in among the vanilla, mango, chocolate, strawberry and so on. It’s 20,000 rupiah for a single scoop, or 35,000 for a double — comparable to what the fancy multinational ice cream shops charge in the malls down in the busy south. Quality not quantity! But why yes, I will have two scoops. Absolutely smooth and creamy, this is the gelato Italy is famed for, sweet but not overly so, immediately melting in the mouth. They don’t use preservatives, or anything artificial, and it’s hand-made. 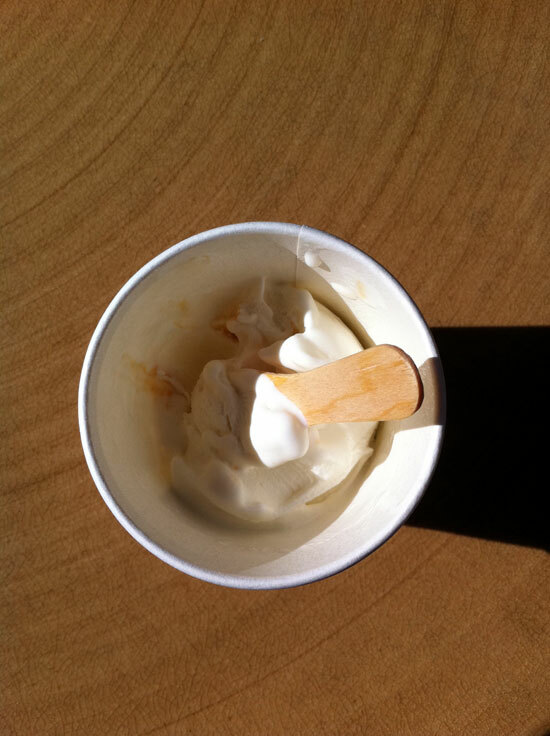 One disappointment: they don’t do coffee, and my creme caramel gelato was screaming out for an espresso on the side. There’s a restaurant above the gallery right next door, but there was a bit of confusion as to whether I could take the ice cream up there, or they might bring coffee down, but I didn’t push it. I wanted to eat that ice cream, pronto. 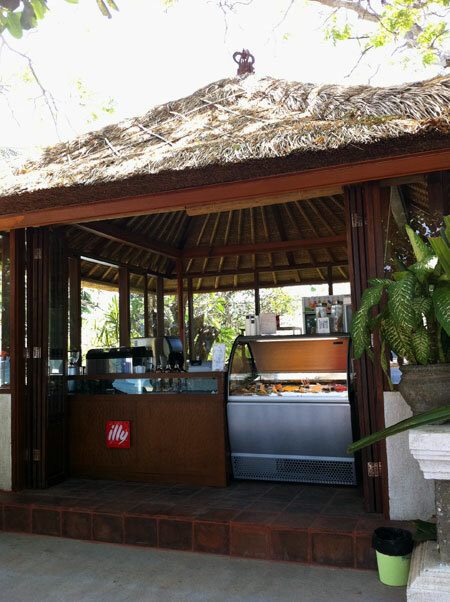 UPDATE: There’s now an outlet selling Gaya Gelato (and Illy coffee) on Sanur beach. If you head down Pantai Karang (the road that runs off Danau Tamblingan next to Smorgas), you’ll hit the beach after going through a small car park. Turn left along the boardwalk, and the spot is about 50 metres along, on the left hand side. This is very good news for ice cream lovers in Sanur. Very. Good. News. Ice cream, you scream, this is where you go when you're screaming for ice cream.